Over 150 Fintechs CEOs from all over the world will be present in this 4th edition of Paris Fintech Forum. This time, the Paris Fintech Forum will take place in the former French stock market exchange in the core of Paris ! This 4th edition of the Paris Fintech Forum with be under the high patronage of M. Emmanuel Macron, President of the French Republic. 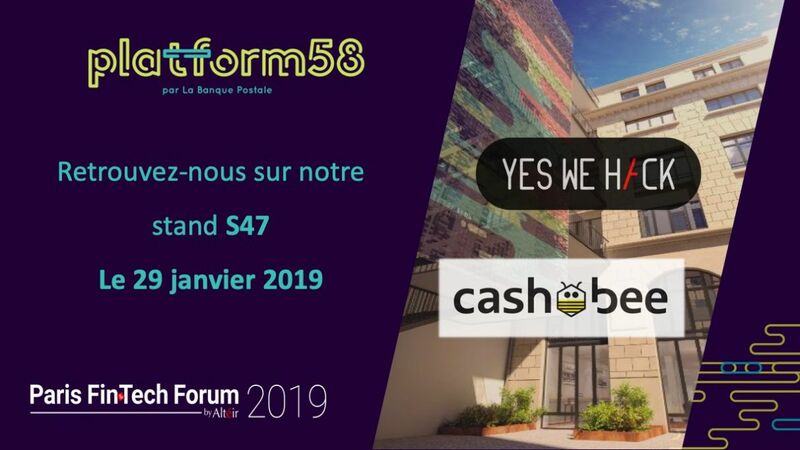 Join us Booth S47 at #PFF19 ! La Banque Postale, Platform58 and YesWeHack would be glad to have a chat with you about trending topics namely : Vulnerability and Risk Management.